After four years in the Jefferson School building in the Central Hillside, Many Rivers Montessori begins the 2018–2019 the school year in the historic Cobb School building in Woodland. Located at 110 W. Redwing St and just blocks from Hartley Park, the building allows us to reach our future projected enrollment of up to 200 students, ranging in age from 16 months to 8th grade. 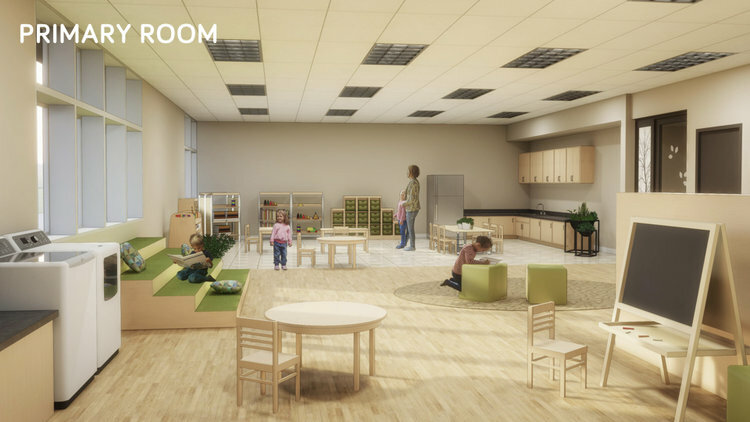 The building features sunny, spacious rooms set up as ideal Montessori learning environments; Toddler and Children’s House rooms that include in-room restrooms, laundry, kitchen work areas and dishwashers; a patio for each Children’s House room; dedicated new Toddler and Children’s House playspaces; dedicated rooms for Spanish and Art, a fully-accessible elevator, and ample parking. 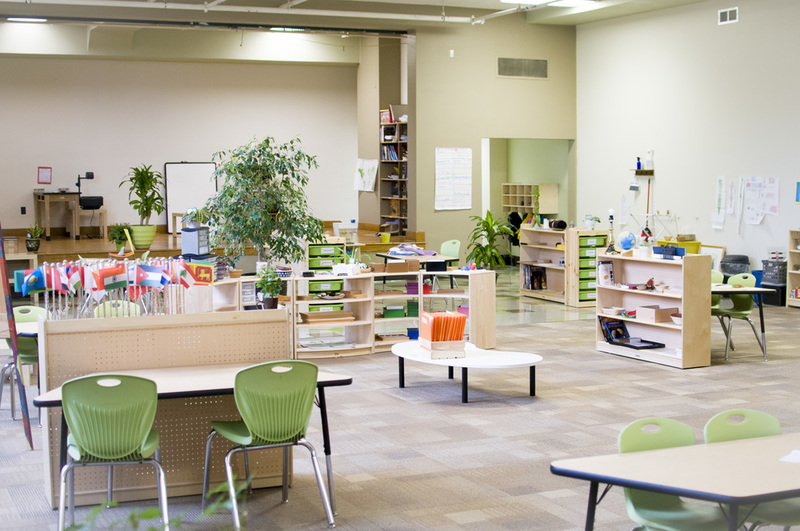 Many Rivers Montessori is a Recognized Montessori School with the Association Montessori Internationale (AMI) for its Elementary, Primary (Children’s House), and Toddler programs. This means that MRM has achieved the stringent requirements set by this international Montessori accreditation body. Every one of our classrooms has a lead teacher, or guide, certified by the Association Montessori International/USA (AMI-USA). We currently employ eight AMI-certified guides, and the majority of our classroom assistants have AMI Montessori Assistant training. Many Rivers Montessori is a Provisional Member School of the Independent Schools Association of the Central States (ISACS). This affirms that we meet all of ISACS' rigorous accreditation standards, including best practice standards for curriculum and instruction, governance, business operations, personnel management, community engagement, and more. We anticipate becoming fully accredited as an independent school by 2024, at which time we will be only one of two independent schools in the Twin Ports. ISACS is a membership organization of more than 230 independent schools from 13 states of the Midwest region, and promotes the development of strong learning communities characterized by high achievements, social responsibility, and independence of governance, programs and policies. Many Rivers Montessori is also a candidate member of the National Association of Independent Schools (NAIS). 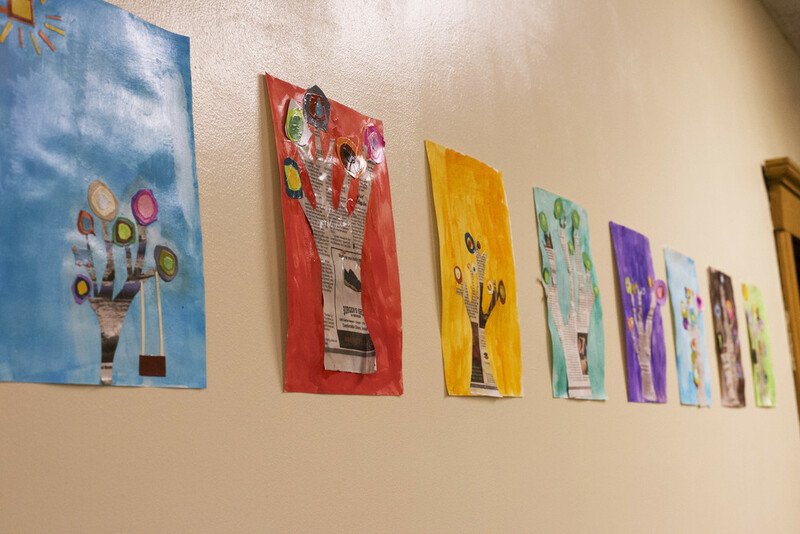 Many Rivers Montessori is licensed as a child care center by the Minnesota Department of Human Services.